1085 Raintrol Roof Drains Sloped Roof Design - Jay R. Smith MFG Co.
Used to control the flow of rain water off a roof. Trapezoidal weirs limit the flow to the leaders. Adjustable to provide various flow rates as required. 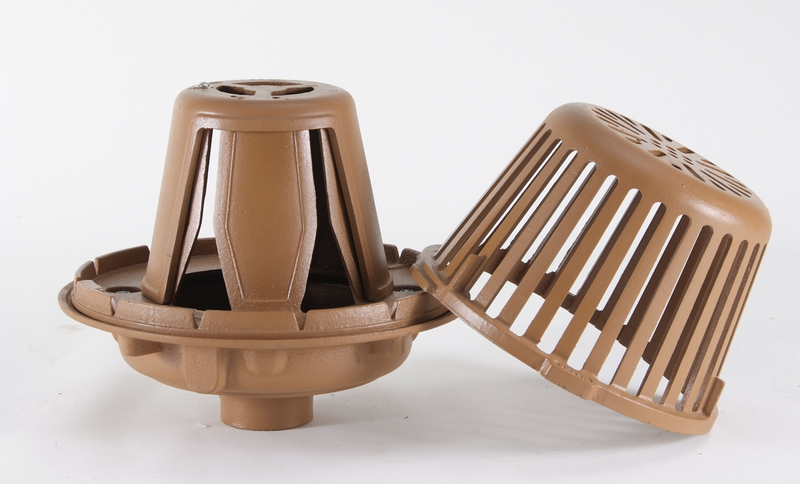 Raintrol Roof Drains help to not overwhelm old sewer systems. As a value engineering concept, smaller piping can be used because the installation of Raintrol Roof Drains control the flow of the water from the roof. Duco Cast Iron Body with Combined Flashing Clamp and Gravel Stop with Adjustable "Flow Rate Control" Assembly and Cast Iron Dome.